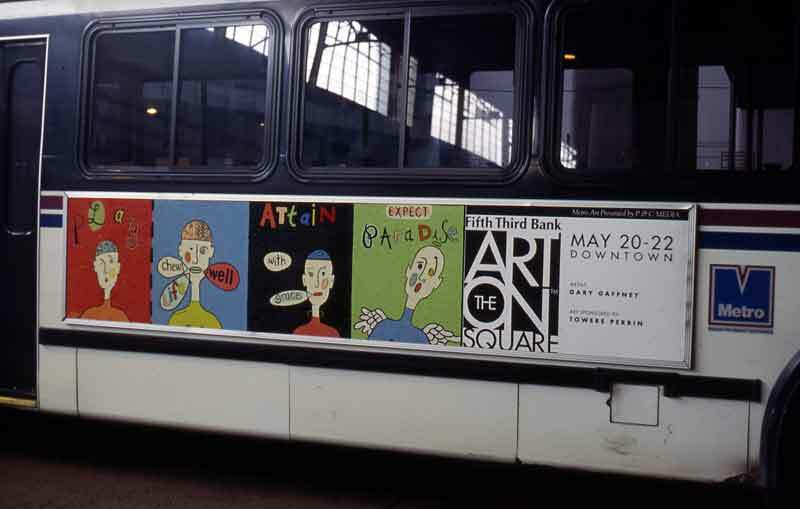 Gary Gaffney, born in New Orleans, LA, is now Professor Emeritus at the Art Academy of Cincinnati after a teaching career of more than 30 years. 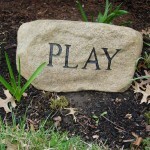 He has worked in a wide range of visual and literary media. 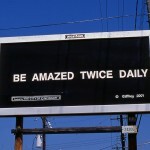 His text-based images are a small effort to subvert the polluting influence of commercial advertising. 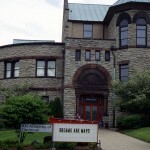 Using a grant from the City of Cincinnati Arts Allocation Committee, Gaffney attempted to use some basic and traditional advertising venues to put out a different kind of message, one intended to be thoughtful, encouraging and challenging. His plan was, in some modest way, to subvert the commercial system by offering the public unexpected messages offered in expected venues. 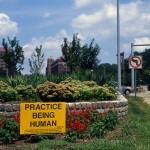 The following sign messages were placed in familiar venues for communicating with the viewers; they asked for more than a few seconds of superficial engagement. 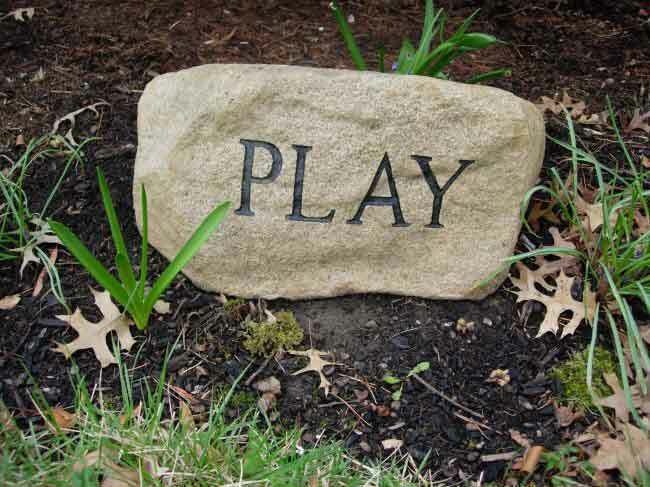 ‘Play’ represents one of many stones Gaffney displayed in parks, gardens and public spaces. 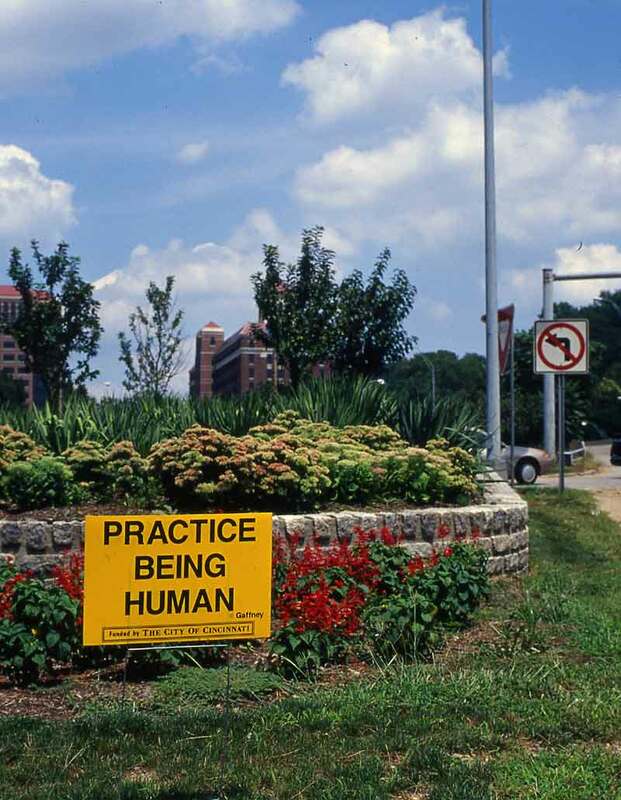 ‘Practice Being Human’ is one of a series of lawn signs Gaffney placed near streets, intersectionsand highways throughout the city. 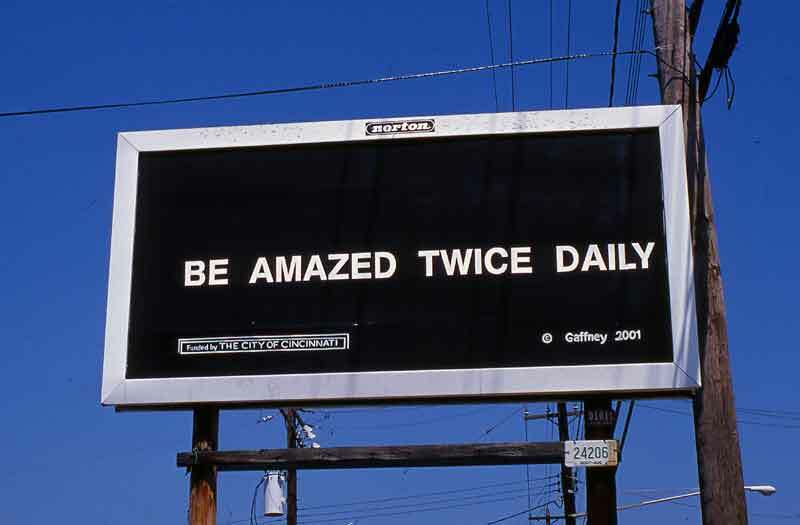 ‘Be Amazed Twice Daily’ is one of several billboards that Gaffney used for his messages throughout the city; they were visible for anywhere from 2 weeks to more than a month. 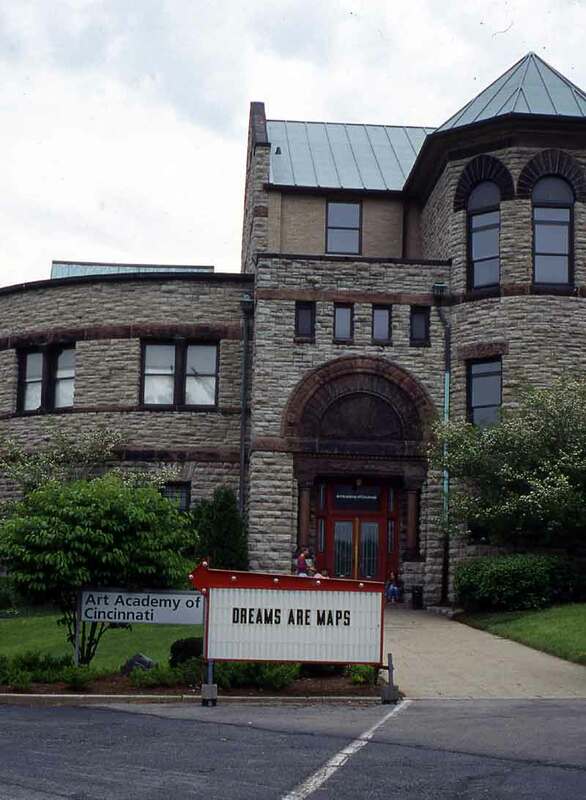 ‘Dreams Are Maps’ was a message displayed on a mobile sign that Gaffney rented and placed at the Art Academy’s former Eden Park location. For the month-long rental period, he changed the messages regularly. 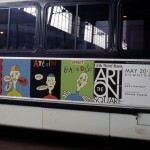 This ad traveled on a Metro bus. It was meant to be uplifting in design, color and execution and to carry positive and affirming messages. Donelle Dreese is the author of two poetry collections: A Wild Turn (Finishing Line Press), and Looking for a Sunday Afternoon (Pudding House Publications). Her poetry and fiction have appeared in publications such as Quiddity International, Hospital Drive, Roanoke Review, Appalachian Heritage, Runes, Gulf Stream Magazine, Journal of Microliterature, Gadfly Online, and Conclave. Donelle is also the author of a book of travel writing, America’s Natural Places: East and Northeast published by Greenwood Press. 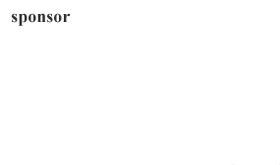 She is an Associate Professor of English at Northern Kentucky University. Her teaching, research, and writing projects are frequently informed by environmental and social justice issues, a sense of place, spirituality, and gender. • In “Whole Daughter,” Donelle Dreese expresses the regret and conflicted emotions of a mother whose choices in life were determined by limited social expectations for women. eyes bright as bay windows with June flower falls. its lofts and staircases where her college courses live. who redressed the far moon with no role model. and wants to know her, everything about her. • In “The Soup Peddler” Donelle Dreese paints the portrait of a woman whose life is grounded in simplicity and environmental consciousness. What she has to offer the world is fundamental and nourishing, like the soup she sells. living a principled life by soup and cycle. as her pedal makes another wild turn. • “Infection” is a portrayal of people caring for one another within an increasingly toxic world that is characterized by polluted waters and bats suffering from white-nose syndrome. for your hot, barn-high brow. as the white noses of bats draw near? • In “The Hospital” Donelle Dreese describes aspects of our health care system that fail to promote an environment conducive to healing and recovery. pump steam into a low-lying cloud. melanoma of tests to assure I’m okay. of possible pleasures still available. • “The Torchbearers” contemplates the mindset of soldiers returning from a tour of duty in Iraq. The harsh realities of war are contrasted with the tranquil beaches of North Carolina. middle class crates of shrapnel. drippings from their tackle boxes. images from sniper school, supply depots. for the green chambers of summer. and fly out to sea.